This huge 55lb mirror has been landed by Solar Tackle team member Julien Porquet. 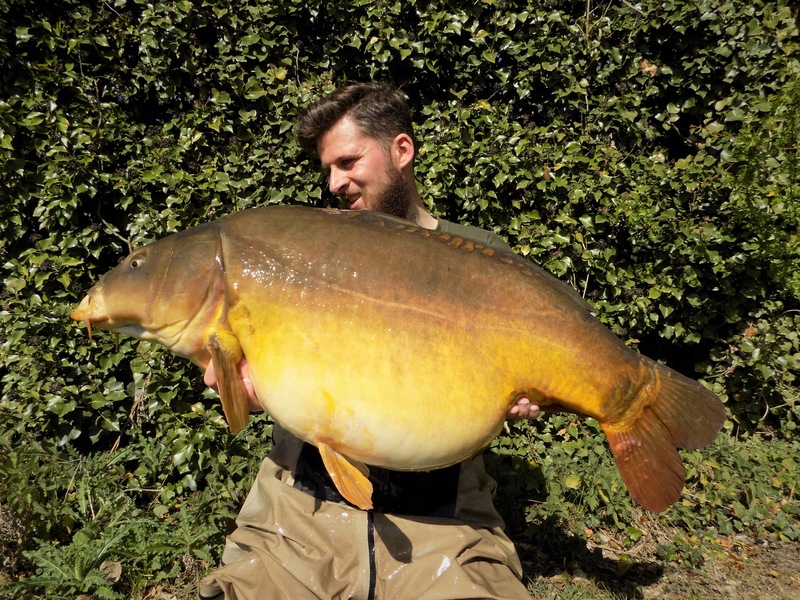 The colossal carp resides in a huge, public water, which holds a low stock of fish and is a notoriously hard venue, an hour and half’s drive from Julien’s home in Calais, France. Baiting a large area with a mixture of Solar's 14mm and 18mm TunaMino test boilies that he had soaked in Marine 17 liquid and presented an 18mm TunaMino hook bait over the top. Solar Tackle’s TunaMino baits, which have been under ‘test’ for the past year, are due to be released to the public later this year.